Macau’s casinos have been in the midst of a crackdown launched by Beijing in early 2014 with a focus of eliminating corruption and money laundering. The authorities have specifically been looking at VIP gamblers who spend large sums of money at the casino without have a proper explanation for the source of their funds. The anti-corruption crackdown has worked to a major extent as it has scared away most of the VIP gamblers. 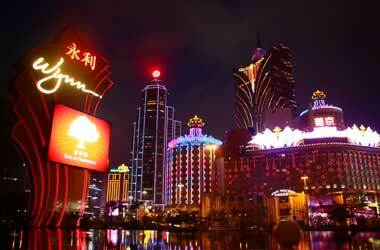 However, gamblers to Macau’s casinos have found a new way to obtain funds and that is via loan sharks. Most of these gamblers rely on loan sharks to provide them with large sums of money that they use to gamble at the casinos. This new modus operandi has been posing quite a few problems for both the authorities and Macau’s casinos as when these gamblers get themselves into a hole and have no money remaining; they are in debt to the loan sharks and are left to their mercy. It common knowledge that most loan sharks are part of a syndicate that has ties with a number of illegal activities. These loan sharks have been accused of breaking into a number of hotels and taking their debtors hostage till they are repaid. The rise of hostage taking in Macau especially with regards to celebrities and wealthy gamblers has risen significantly during the last 12 months. As a result, most of the casinos resorts and hotels are now looking for insurance policies that would mitigate the risk they face due to this hostage taking and debt repayment strategy. Most of these hostage taking incidents have nothing to do with ransom demands which is typical of most hostage scenarios. Rather these hostage taking incidents are specifically related to having these gamblers pay back the loan sharks their full amount along with the agreed upon interest. Macau’s casinos are in the process of taking insurance policies that would allow them to fall back upon crisis responders who are used to dealing with these kind of incidents and negotiating between loan sharks and the hostages. These policies also protect the casino from legal liability in case a victim or concerned family members decide to file a lawsuit against the casino for failing to protect the victim within their premises. Word of mouth can lead to a trend of an interest in the policy, security and the protection … all the major casino and hotel chains will have looked into this. Certainly there is a correlation between mainland China, Macau and the interest and purchase of this type of policy.